Doctor Who: Revisiting PARTNERS IN CRIME | Warped Factor - Words in the Key of Geek. Tony Fyler welcomes Donna Noble to the Tardis. The end of Series 3 of New Who was, to be honest, a bit of a downer. The world had suffered the year of Hell, Martha Jones had travelled the globe, endlessly suffering for the Doctor’s sake, and the result had been the science fiction equivalent of the ‘It was all a dream’ ending – the ‘It was all a paradox, let’s turn back time’ ending, with additional slightly Messianic notes thrown in for free. The 2007 Christmas Special, Voyage of the Damned, continued in the ‘massive downer’ vein, with almost everybody of any spirit or fun dying horribly and at least one repulsive sleazebag surviving to sneer another day. So when Series 4 began, it had a lot to do. It had to break the hearts of many of the show’s relatively new female viewers by returning the Doctor-companion relationship to a platonic one, rather than all the palaver of who loved who and who couldn’t love them back. It also had to kick off with something a bit more bouncy, a bit more frothy to remind us all that Who could be funny as well as being a long drawn-out festival of misery and death. Oh, and it had to introduce a new companion. So – a doddle then. 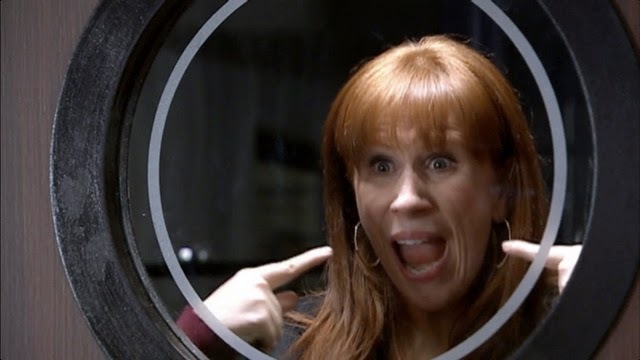 Original plans to bring in ‘Penny,’ a northern companion with whom the Doctor would have – yes, you guessed it – a romantic relationship – were rewritten when it became clear that Catherine Tate, who had breathed such extraordinary, layered life into Donna Noble in the 2006 Christmas Special, was interested in a return engagement. Only not engaged as such – no relationship would be forthcoming, other than that of a good mate. And so, in a slightly toned-down and slightly expanded fashion, Donna Noble made her return to Doctor Who in the Series 4 opener, Partners In Crime. Whereas the opening scenes of Rose had shown the rut into which Rose Tyler had fallen, and the opening scenes of Smith and Jones had shown Martha’s role as universal organizer and peacemaker within her extended family, Partners In Crime opened as a mirror-image double act – Donna Noble, now smarter, more with it, and brimful of chutzpah, blagging her way into the Adipose Industries HQ, on the same day and in a similar way to the Doctor. The whole first half of the episode prolonged this gag into something like the science fiction equivalent of drawing-room farce, the two doing the same things at the same times, in the same places, but never quite meeting up. The alien threat plotline was lightly handled and almost incidentally woven through this first half – the development of a pill to bind dietary fat and flush it harmlessly away as a diet plan coinciding with the arrival on the market of several competing pills in the real world that did the same sort of thing. 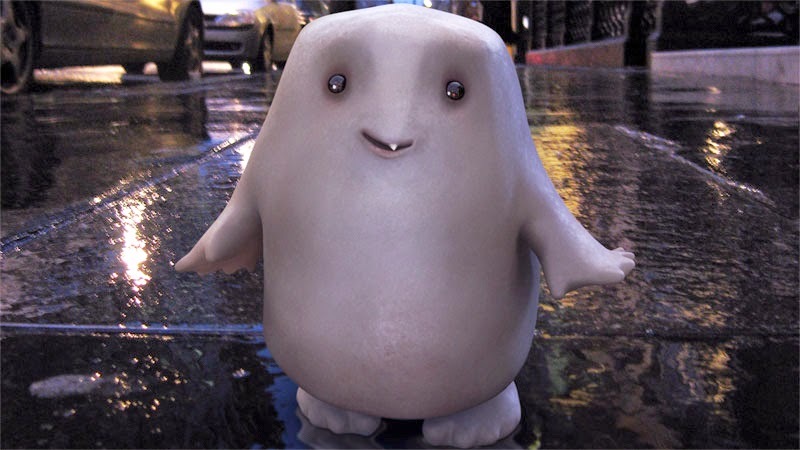 Except of course in the Doctor Who world, the fat was turned into little, almost appallingly cute CGI aliens simply called the Adipose, and they pulled themselves free of the bodies of the pill-poppers and walked away overnight. As the Doctor concedes later in the episode, as a diet plan, this really rather works – plenty of fat people needing to lose weight, plus aliens that needed little fat-babies, equals happiness all round and where’s the harm? Really, the harm only becomes apparent when Donna Noble twists a pendant which acts as an activator for the Adipose, and poor dieter Stacy Campbell is turned entirely into Adipose, bringing company bigwig Miss Foster some discomfort and panic. Foster, played by Sarah Lancashire as a kind of ‘space Supernanny’ is mostly business, tinged with a slightly off-kilter note of caring for the little Adipose charges she’s gently generating from the overweight population of the UK. 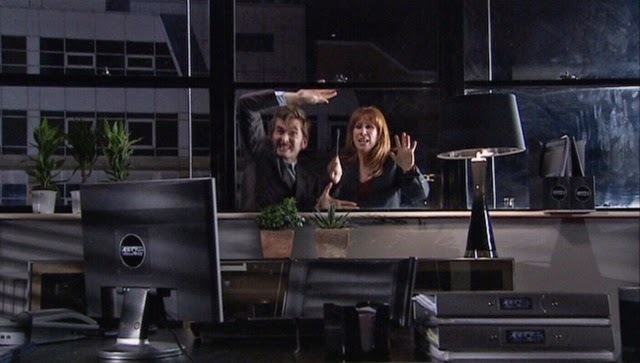 When Donna and the Doctor finally meet up, the lengthy toing and froing of the farce elements is beautifully paid off with a silent mime scene, after which, as you’d expect – there’s a bit of running. And so the Doctor and Donna were reunited, though it became immediately clear that these two had a greater comedic chemistry than had been seen in the show to that point. Would comedy become the new romance? 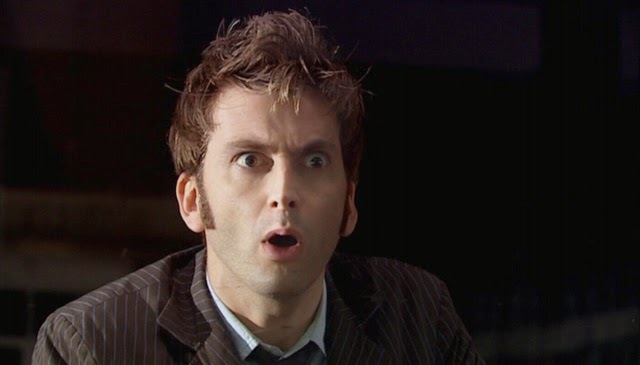 Pretty much – without sacrificing the genuine threat of Miss Foster’s panicked reaction to alien intervention in her plan, which is to go immediately to full Adipose activation, turning roughly a million people into nothing but little bags of walking fat, the relationship between the Tenth Doctor and Donna Noble was comic from the word go, and would hardly let up throughout the episode. The action and the comedy had to be balanced though. 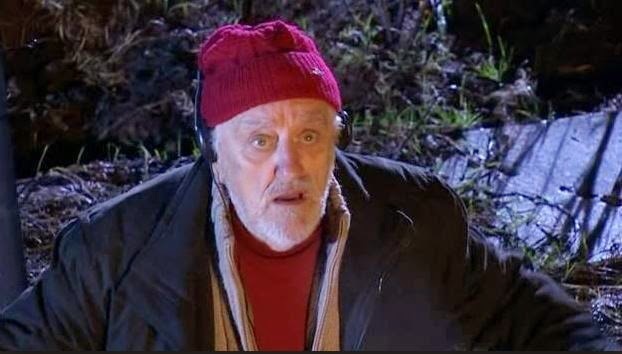 Step forward Bernard Cribbins, who’d appeared as the newspaper seller in Voyage of the Damned, and now returned as Donna’s granddad Wilf after the sad death of Howard Attfield, who had played her father in The Runaway Bride. Scenes were re-shot with Wilf telling Donna she seemed to be drifting, and her response was that really, she was waiting – for the right man. Their scene together is a beautiful little touch of real love and care, and having waved a load of Adipose up to their parents’ spaceship, seen Miss Foster fall to her death when the Adiposian First Family disowned her practices on Earth, and – oh yes – saved a million lives by giving the Doctor just what he needed at just the moment he needed it, Donna asks for her first trip into time and space to be to see her granddad, to show him that her waiting has paid off. His whooping delight for his little girl, who has seemed so lost and alone, is a moment of almost heartbreaking love, vindication and punch-the-air satisfaction, and it proved that even though much of the episode had been structured as a comedy, Doctor Who could still both deliver its cake and eat it too, blending real human poignancy in with all the comedy and alien threat. There was a moment before Donna officially joined the Doctor on the Tardis that dealt with all the oppressive unsaid things of Martha’s season. The Doctor took responsibility for Martha’s confusion and her feelings for him, and said he just wanted a mate – the series practically giving a policy statement about what was coming in the era of Tennant and Tate: Don’t keep waiting for the snogging to begin, we’re in a different dynamic now. Even here though, there was comedy to be wrung from the situation, with Donna mishearing and declaring the Doctor was not going to mate with her! Seriously, got that, no snogging will be forthcoming. There were also to be two interlinked arcs for Series 4 – disappearing planets and the return of Rose Tyler. While the first was tossed subtly into conversation between the Doctor and Miss Foster despite being the essential reason why she was on Earth, cultivating fat-babies, the second was the subject of much secrecy, and delivered a ‘what-the-hell’ punch to the dying seconds of an episode otherwise brimming with fun and froth. Partners In Crime evolved the character of Donna Noble to a point where, as Russell T Davies would put it, she wouldn’t ‘get on the nerves’ of viewers (though in plenty of cases, she still did), established what Doctor Who would do without a romantic thread – something of a serious bottleneck in terms of acceptance from the audience of New Who, as there had been a romantic thread in all of the first three series – and set up a new era for Tennant’s Tenth Doctor: the era of bouncing about, having a laugh. It would begin a series that would actually see both Tennant and Tate deliver plenty of serious dramatic tension, as well as building to the most tragic climax of any series to date. But right there at the beginning, Partners In Crime was bouncy and funny and farcical – which was just what the Doctor ordered.